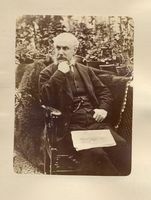 SHAUGHNESSY, THOMAS GEORGE, 1st Baron SHAUGHNESSY, railway official; b. 6 Oct. 1853 in Milwaukee, Wis., son of Thomas Shaughnessy, a policeman, and Mary Kennedy; m. 12 Jan. 1880 Elizabeth Bridget Nagle (d. 1937), and they had two sons and three daughters; d. 10 Dec. 1923 in Montreal. Thomas G. Shaughnessy, the son of Irish Catholic immigrants, was educated in public schools and at the Jesuits’ St Aloysius Academy in Milwaukee. He also studied for several months at the Spencerian Business College in that city before entering the service of the Milwaukee and St Paul Railroad at age 16. He served first as a clerk in the purchasing department and then as a bookkeeper in the supply division. In 1874 the railroad extended its service to Chicago and was renamed the Chicago, Milwaukee and St Paul, but popularly it was known simply as the Milwaukee Road. While employed in relatively low-level jobs, Shaughnessy studied law privately for some time. In 1875 he was the successful candidate in a municipal by-election in Milwaukee’s poor and predominantly Irish Catholic Third Ward. He was re-elected several times, serving continuously on the municipal council from 1875 until 1882 and briefly, in 1882, as its president. In 1875 he was made adjutant of the 1st Regiment of the Wisconsin state militia. The following year he sought, unsuccessfully, appointment as clerk of the circuit court. In 1880 William Cornelius Van Horne* became the general superintendent of the Milwaukee Road and he was soon favourably impressed by Shaughnessy’s meticulous but, until then, unspectacular work in the stores department. Van Horne promoted Shaughnessy to the position of purchasing agent. Theft, damage, and the unexplained disappearance of goods, as well as collusion between suppliers and purchasers, were perennial problems for railroads. Shaughnessy and two others were chosen by Van Horne in October 1880 to examine and report on the administrative, security, and accounting procedures in the stores departments of other large railroads. Their report recommended numerous changes, which Shaughnessy, who was appointed storekeeper responsible for all major construction and operating materials and supplies on 1 Jan. 1881, then implemented on the Milwaukee Road. 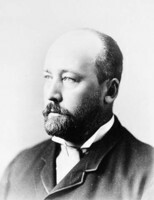 Van Horne left the Milwaukee Road to become general manager of the fledgling Canadian Pacific Railway on 2 Jan. 1882. He offered Shaughnessy the position of purchasing agent for the entire CPR system. Shaughnessy declined, but when Van Horne returned for a visit in the fall of 1882 he accepted, allegedly over a glass of Milwaukee beer. He began work with the CPR in Montreal that November. The CPR was then in serious financial difficulty. That situation got progressively worse as construction costs mounted and fund-raising efforts by syndicate members, among them George Stephen, James Jerome Hill*, and Donald Alexander Smith*, faltered. One of Shaughnessy’s greatest accomplishments was to reduce costs as much as possible. He introduced a tight system of controls and accounting procedures in the ordering and allocation of supplies and he scrutinized all expenditures. Many materials, particularly those needed by construction crews, had to be requested weeks and often months in advance. The company could save substantial sums if materials were ordered to arrive only at the last possible moment and then only in the exact amounts needed. Unused or unneeded supplies were often subject to deterioration and theft while in storage. Shaughnessy had an essentially pessimistic view of human nature, perhaps instilled in him by his father, who had been a policeman and sometime detective in an impoverished district of Milwaukee. While he was active in local politics Shaughnessy himself had seen much evidence of corruption and waste. He was convinced that, given the opportunity, suppliers, contractors, carriers, workers, and anyone else would cheat the company. Constant vigilance was essential. Everything had to be done in accordance with the many rules and regulations he introduced. He delighted in tracing even minor transgressions and then publicly humiliating the perpetrators, usually in writing to ensure that the information became a part of the permanent record. Even the company’s most trusted contractors and senior officials were exposed to his wrath if, in their efforts to get necessary work done on time, they paid prices higher than was deemed appropriate or if they failed in any other way to follow his system. Shaughnessy was a perfectionist. He had a particular compulsion for cleanliness, washing his hands many times a day. Whereas Van Horne ordered mountains moved if they got in the way of his construction program, Shaughnessy was more likely to berate employees about a speck on the dining car cutlery, imperfectly washed passenger cars, a spelling error on a CPR hotel menu, and, of course, even minute irregularities in any invoice. During the difficult period of construction from 1882 to 1885, he and his staff were exceptionally meticulous, some thought paranoid, when reviewing bills in order to postpone payments as long as possible. They looked for any discrepancy in price, quantity, or quality of material delivered or work done, no matter how insignificant, which might justify delays or substantial reductions in the company’s payments. Shaughnessy resorted to and perfected many of the tactics employed by companies teetering on the edge of bankruptcy, paying only the minimum necessary to avoid costly legal battles. In later years he took particular pride in having delayed the payment of millions of dollars and in slashing millions more from bills with which he and his officials found fault. There were some obvious limits to these tactics. It would not serve the CPR’s interest to push good suppliers and contractors into bankruptcy or to alienate them to the point where they would refuse to have further dealings with the company. Shaughnessy therefore collected detailed information on their financial standing and obligations, paying in cash only what they needed to remain in business. For the balance, after all other stalling tactics had been exhausted, he issued notes not immediately negotiable and verbal promises of payment once finances improved. The CPR’s interests, as interpreted by him, always came first. He could be exceptionally tough in difficult times, but was more generous when the company’s position improved or when alternative opportunities became available for contractors and suppliers. 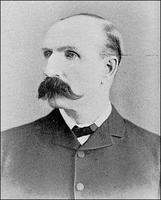 Shaughnessy’s skills earned him a reputation as a stern, humourless, and rigid administrator; they also won him a cherished promotion to assistant general manager in 1885. This position allowed him to impose his meticulous style of management on the operations and expansion of the nearly completed but still chaotic railway. He was not a man without vision. Indeed, like Van Horne, he believed that the CPR must become a multifaceted business empire. At the same time his determination to make the entire system run with clock-like precision provided a perfect counterbalance to Van Horne’s visionary enthusiasm. 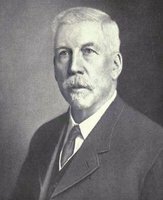 Financial necessity, if not desperation, had made Shaughnessy’s style of management essential in the early years, but after 1888 the fortunes of the company improved. 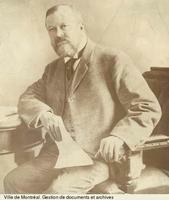 Van Horne became president that year and he and the directors named Shaughnessy assistant president in September 1889. 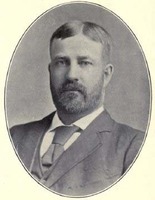 In 1891 Shaughnessy became a director and was elected vice-president. 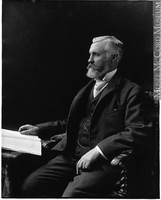 Van Horne gradually assigned almost all administrative responsibilities to Shaughnessy, who succeeded him as president in 1899. The company went on to achieve remarkable success, thanks in part to good management but mainly to the rapid settlement of the Canadian prairies [see Sir Clifford Sifton] and the general improvement in the economy. Prices of its shares, which hit a low of $33 in the mid 1890s, rose to $283 in 1912, though they would decline to $135 before Shaughnessy resigned in 1918. The company operated 7,000 miles of track when he became president in 1899; this would increase to 12,993 miles in 1918. Vast sums were spent in improving the track and rolling stock and in numerous ancillary enterprises. 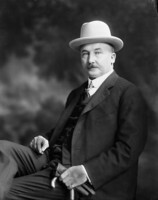 Shaughnessy was intimately involved in the development of the Canadian Pacific’s steamship service. During his presidency newer and larger ships, tugs, barges, and ferries were acquired for service on the Great Lakes, the inland waterways of British Columbia, and the Pacific coast. A profitable steamship service from Vancouver to the Orient had been established in 1891 with three ships forming the Empress Line. This service was significantly improved during the Shaughnessy era by the construction of new Empress ships, which were then the fastest and best equipped on the Pacific. 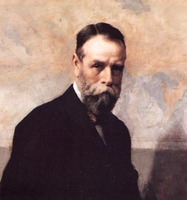 In 1902 Shaughnessy decided the company should establish its own Atlantic service. He took part in the acquisition by the CPR of two Atlantic shipping companies – the Beaver Line and the Allan Line [see Andrew Allan*] in 1903 and 1909 respectively – and in the addition of new ships, including some of the most modern design. The Atlantic service earned only modest profits, but it made the CPR one of the world’s major shipowners. The success of any large transportation system depends on the passengers and freight carried and CPR officials initiated or participated in numerous projects designed to increase traffic. The most important involved the settlement of prairie lands. Vigorous attempts were made to attract settlers who would purchase CPR land and generate freight. Shaughnessy started major irrigation projects which made almost 3,000,000 acres of dry land in southern Alberta much more valuable. He also continued Van Horne’s energetic efforts to augment passenger traffic through the promotion of tourism. 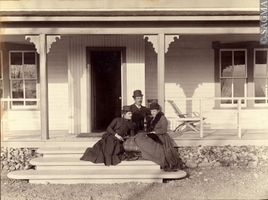 New CPR hotels were built in Winnipeg, Calgary, and Victoria. Those in Quebec City, Vancouver, Banff, and Lake Louise were substantially enlarged and smaller resort hotels in the Maritimes and several chalets and camps in the mountains were added. All had to meet Shaughnessy’s rigorous standards. 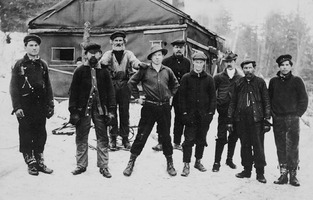 The Crow’s Nest Pass Railway, begun just before Shaughnessy became president, captured the traffic in coal, other minerals, and forest products of southern British Columbia. Several mines and a large smelter at Trail, B.C., had been acquired from American promoters in 1898 and were merged in 1906 to form the CPR-controlled Consolidated Mining and Smelting Company of Canada Limited. Coal was not only an important freight commodity, it powered the steam locomotives, so the company developed important coalmining operations in southern British Columbia. Under Shaughnessy’s watch the CPR became a partner in several engineering, steel, rolling stock, locomotive, and other manufacturing companies whose products it needed. For many years Shaughnessy represented the CPR on the boards of major financial institutions with which it had extensive dealings, including the Bank of Montreal, the Royal Trust Company, the Accident Insurance Company of North America, and the Guarantee Company of North America. He received numerous invitations from friends to invest personally in a variety of ventures. A cautious man, he placed his money in preferred CPR and CPR-related securities. He did not amass the wealth of the great American tycoons or even of some of his fellow CPR directors, but he was almost certainly a millionaire at the time of his death. He loved ceremony and ostentation and was as meticulous about his clothes, personal appearance, and private luxuries as he was about the quality of the service provided by the company. His two great loves were the CPR and his family. He had little interest in philanthropy or social causes. Shaughnessy was a brilliant administrator who ran one of Canada’s largest and most efficient businesses in an effective, but cautious and not very imaginative way. During his administration the CPR, more than any other company, contributed to the building of Canada as a nation. One of the most important services the CPR provided was the transportation of prairie wheat to export markets. The main line made this possible, but it was the massive construction of branch lines and the significant reductions in freight rates during the Shaughnessy years that allowed prairie homesteaders far from the main line to establish successful farms. The railway brought in the coal with which the farmers heated their homes, but it also carried manufactured products and supplies of all kinds, dramatically expanding the economy of western Canada and connecting it with that of central Canada. At the same time, however, it became the primary focus of regional discontent. The CPR had always been viewed with considerable suspicion in western Canada. It was alleged that the rates charged were too high and that the services of the company were not extended as quickly as they should have been to newly settled areas. Many believed both problems would be alleviated if the CPR was exposed to effective competition. The so-called monopoly clause in the railway’s charter had kept rival American lines out of western Canada until 1888, when political agitation in Manitoba [see Thomas Greenway*] resulted in the cancellation of that clause. Subsequently the CPR fought several battles to exclude American railroads. As part of its strategy it retreated from its attempts to invade American territory. This change of policy contributed to Van Horne’s resignation as president, but it was offset by the success of the CPR in beating back efforts by American lines to tap western Canadian traffic. The construction of the line through the Crowsnest Pass was particularly important in securing the traffic of the southern prairies and southern British Columbia. In 1897, when the CPR was negotiating with the federal government of Sir Wilfrid Laurier* for a subsidy to build the Crow’s Nest Pass Railway, pressure from western farmers and their political representatives had led the government to grant the subsidy only if the railway significantly reduced its rates. 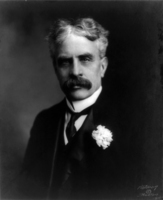 Under Shaughnessy’s administration, the agitation for further rate reductions and more branch lines both increased. In 1901, the Manitoba government of Rodmond Palen Roblin* signed an agreement with the promoters of the Canadian Northern Railway, William Mackenzie and Donald Mann*, to provide substantial guarantees for their railway bonds in return for a significant reduction in freight rates from Manitoba to the Lakehead. The Regina Board of Trade later obtained an extension of those lower rates to its city. To remain competitive the CPR had to match the Canadian Northern’s rates. In 1903 Charles Melville Hays* of the Grand Trunk Railway, which was well established in Ontario and Quebec, sought federal assistance to extend its system to the Pacific. It too promised to compete effectively with the CPR. The federal and provincial governments believed that wherever possible competition between railways should be promoted as a means to ensure better and cheaper service. Railways, however, often enjoyed natural monopolies, particularly in sparsely settled areas, so politicians moved to strengthen government control. 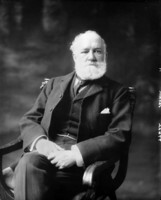 The authority of the small railway committee of the Privy Council was greatly expanded with the creation in 1903 of the Board of Railway Commissioners [see Andrew George Blair*], which had legal jurisdiction to settle many of the disputes arising between rival railways and between railways and the general public. It did not initially have the power to set freight rates but, like the Interstate Commerce Commission in the United States, it had the power to order railways to reduce freight rates which unfairly discriminated against some customers. Many in western Canada were convinced that the CPR’s ton-mile rates, which were higher there than in central Canada, constituted such discrimination. The CPR argued that the higher western rates were justified by the cost of building and operating the long and expensive line north of Lake Superior. The Board of Railway Commissioners eventually accepted this argument, enunciating it explicitly in 1914. Shaughnessy tried to deal with the threats of competition prudently. He knew there was not sufficient traffic to justify the construction of two new transcontinental railways or the extension of branch lines into the many sparsely settled parts of the country. Under his administration the CPR had constructed branches only where they could be justified on sound economic grounds rather than on grandiose promises of future development. When it became clear in July 1903 that Ottawa would assist the rival systems [see Blair], Shaughnessy proposed a radical scheme under which the CPR would sell its expensive but vital line north of Lake Superior to the federal government, which could then double track it and grant running rights to all competitive railways. Shaughnessy was confident the CPR could meet any threat except that posed by rivals enjoying massive government assistance. Under his proposal the subsidies would be sharply reduced and the CPR would no longer be responsible for the operating expenses of the difficult section, though it would retain control over the entire system. Laurier was wary of government ownership and feared that Shaughnessy’s proposal would prevent competition. After the Liberals won the election of 1904 the construction of the two new transcontinentals proceeded. 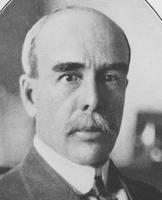 When war broke out in 1914 Shaughnessy gave his full support to the war effort. He organized imperial transport and assisted in the financing of the war effort through loans to the government. Employees were encouraged to enlist. Senior staff were lent to the British and Canadian governments to purchase, organize, and ship supplies overseas. Construction workers were sent to rebuild damaged railways in France and Belgium. The company’s largest and fastest ships were requisitioned as transports and auxiliary cruisers and the company’s machine shops in Montreal and Winnipeg manufactured munitions and military equipment. Shaughnessy suffered enormous personal loss when one of his two sons, both of whom served overseas, was killed in action in France. Canada did not need, but it had obtained, three transcontinental railways. All three adopted aggressive competitive tactics. The CPR, which had received federal cash and land subsidies, had a decisive advantage over its rivals, which had obtained only government guarantees for their bonds. Both new transcontinental systems got into serious financial difficulty during World War I. The CPR had the necessary resources to take over parts or all of the other systems, but such a solution was deemed politically unacceptable by the Canadian government. Instead, the federal government moved slowly toward nationalizing them. 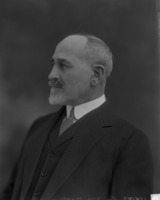 The CPR’s directors, including Shaughnessy, who had resigned as president in 1918 but would continue to serve as chairman of the board until his death, found the notion of competition with a government railway system abhorrent. A state system would be vulnerable to political pressure to offer unreasonably low rates and would then look to the government to cover any deficits. In a desperate effort to thwart such unfair competition, Shaughnessy proposed in August 1921 the sale of the assets of the CPR to the government in exchange for a guaranteed return of interest and principal to the holders of CPR stocks. CPR management – in Shaughnessy’s opinion the best anywhere in the world – would then sign a contract to manage the entire system on behalf of the government. This proposal, however, was also rejected by Ottawa. As a result, the CPR was left to manage its operations in the most efficient manner possible. Its profitability was severely limited because it had to compete with the Canadian National Railways (established in 1918 with the merger of the Canadian Northern, the Canadian Government Railways, and other lines), which could offer politically desirable but not necessarily economically viable rail services. Only extensive diversification and the earnings of affiliated companies made it possible for the CPR to retain its overall profitability in the later years of Shaughnessy’s presidency. Thomas G. Shaughnessy had been made a knight bachelor on 17 Sept. 1901, created a kcvo in 1907, and elevated to the peerage of the United Kingdom as Baron Shaughnessy on 1 Jan. 1916. He suffered a massive heart attack on 9 Dec. 1923 and died the following day. At the pinnacle of his career his identity and that of the CPR seemed inseparable. His achievement did not lie in the conception of grand designs but in the management and execution of an administrative system which carried the CPR to its greatest business success as the country’s most important and profitable multifaceted business empire. He could not, however, ward off the encroachments which left the CPR and the country with serious railway problems. Canadian Pacific Arch. (Montreal), Incoming corr. ; Shaughnessy letter-books. Globe, 11 Dec. 1923. Pierre Berton, The national dream: the great railway, 1871–1881 (Toronto and Montreal, 1970); The last spike: the great railway, 1881–1885 (Toronto and Montreal, 1971). The CPR west: the iron road and the making of a nation, ed. Hugh Dempsey (Vancouver and Toronto, 1984). David Cruise and Alison Griffiths, Lords of the line (Markham, Ont., 1988). J. A. Eagle, “Baron Thomas Shaughnessy: the peer that made Milwaukee famous,” Milwaukee Hist. (Milwaukee, Wis.), 6 (1983), no.1: 28–40; The Canadian Pacific Railway and the development of western Canada, 1896–1914 (Kingston, Ont., 1989); “Lord Shaughnessy and the railway policies of Sir Robert Borden, 1903–1917” (paper presented at the annual meeting of the CHA, Montreal, 1972); “Monopoly or competition: the nationalization of the Grand Trunk Railway” (unpublished paper, n.d.; copy in the possession of T. D. Regehr). J. B. Hedges, Building the Canadian west: the land and colonization policies of the Canadian Pacific Railway (New York, 1939; repr. 1971). H. A. Innis, A history of the Canadian Pacific Railway (Toronto, 1923; repr. Toronto and Buffalo, N.Y., 1971). W. K. Lamb, History of the Canadian Pacific Railway (New York and London, 1977). O.[-S.-A.] Lavallée, Van Horne’s road: an illustrated account of the construction and first years of operation of the Canadian Pacific transcontinental railway (Montreal, 1974). A. A. den Otter, The philosophy of railways: the transcontinental railway idea in British North America (Toronto, 1997). G. R. Stevens, Canadian National Railways (2v., Toronto and Vancouver, 1960–62). Theodore D. Regehr, “SHAUGHNESSY, THOMAS GEORGE, 1st Baron SHAUGHNESSY,” in Dictionary of Canadian Biography, vol. 15, University of Toronto/Université Laval, 2003–, accessed April 20, 2019, http://www.biographi.ca/en/bio/shaughnessy_thomas_george_15E.html.